It&apos;s hard to phathom that the king of all hot-hatches, the Volkswagen GTI is 35 this year, especially with some MK1s still out on the streets. Truth of the matter is, three and a half decades have indeed gone by since the inception of the Rabbit/Golf based living legend. 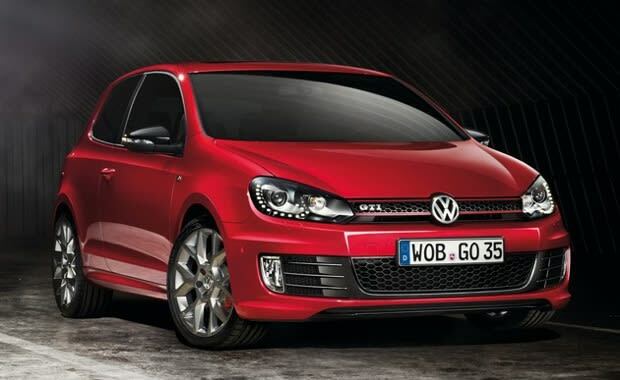 To properly celebrate, Volkswagen has announced a special &apos;Edition 35&apos; GTI, equipped with a new front bumper, unique wheels, &apos;35&apos; badging on the sills and seats, and most importantly a 25-pony bump in horsepower, for a grand total of 232 hp. The hatch goes on sale in Germany this week. No word on whether the Edition 35 will be available in the states, but die-hard Dub heads may want to keep their fingers crossed. Remember, the 25th Anniversary Edition made the journey!